The 3rd Person View camera mount is a unique camera mount to film yourself in action. 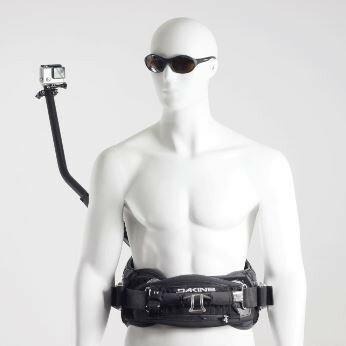 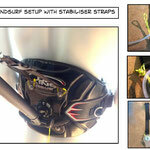 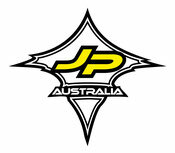 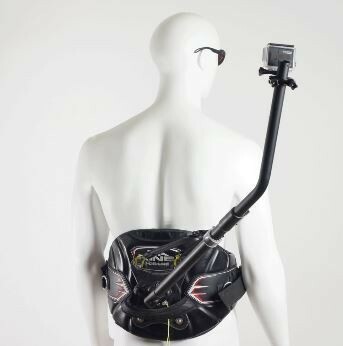 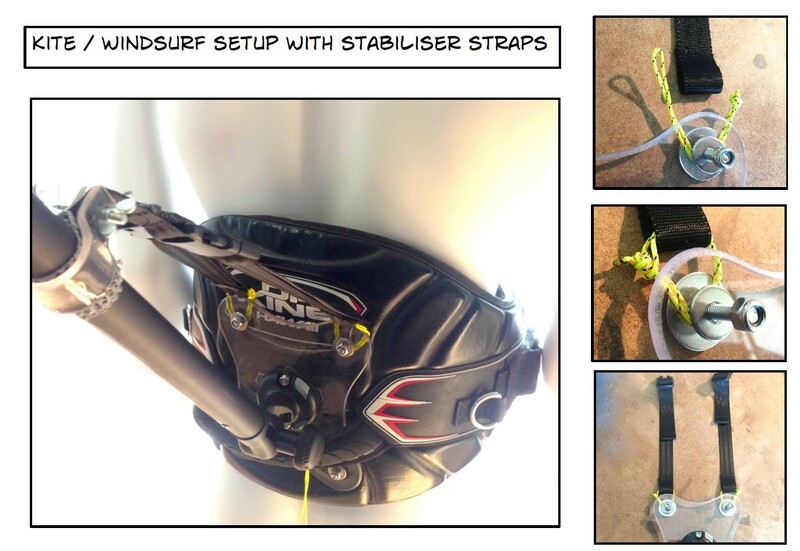 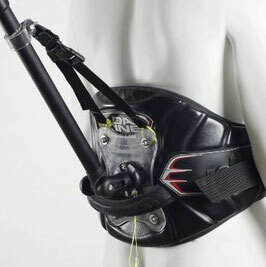 The system is designed to be flexible (in use) but stable enough so you can mount a camera behind your back or from the side to create the impossible 3rd person perspective.The Kite/windsurf system consist of 2 parts:•A flat clear technical polyester sheet plate that needs to be mounted to your kite/windsurf (waist) harness. 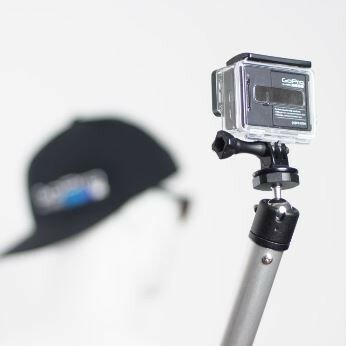 (All tools and bolds are included in the package)•Fully adjustable camera pole with a clear silver anodised finish. And yes; this means making 4 holes in your harness!